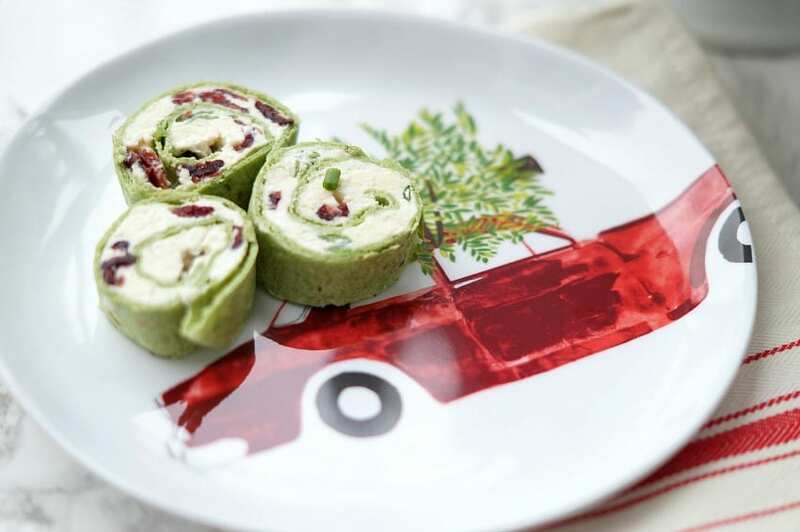 These Feta and Cranberry Pinwheels are a family recipe that we have been making for years! 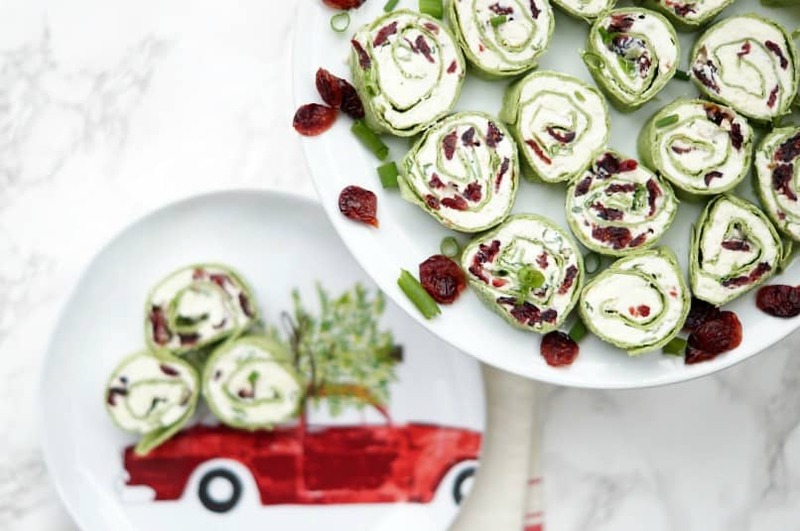 Creamy, tangy, and a little bit sweet, they are the perfect holiday appetizer! Hi everyone! 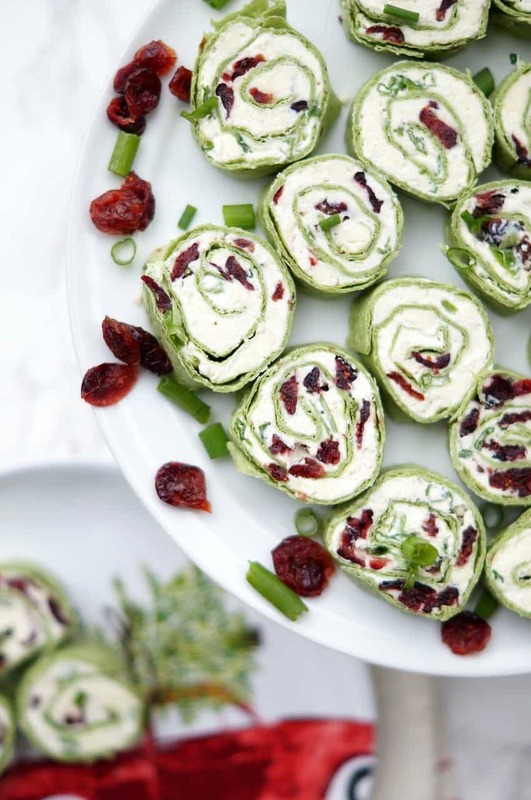 Amanda here from Old House to New Home sharing one of my family’s favorite appetizer recipes, Feta and Cranberry Pinwheels! My Mom first made these at least 10-15 years ago for a church dinner. I have no idea where she found the recipe, but everyone loved them! Soon after, they started popping up at church functions by other parishioners and were always a big hit. This recipe couldn’t be easier and requires minimal ingredients. 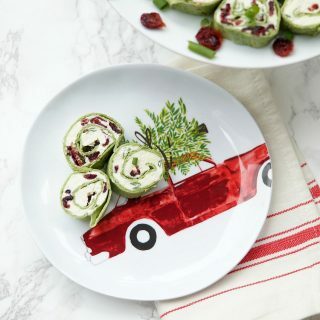 When you are strapped for time during the holidays, these pinwheels are a breeze to throw together. No cooking required! 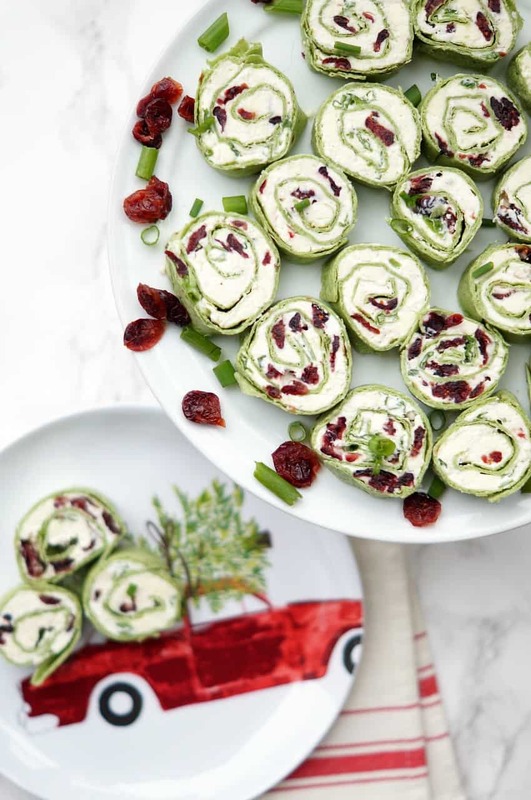 While these pinwheels are great anytime of the year, they are perfect during the holidays because of their festive colors! They look so pretty on a platter! Cranberry is also one of those prominent flavors of Christmastime, so they are even more appropriate this time of the year! The mixture of flavors here is so unique. 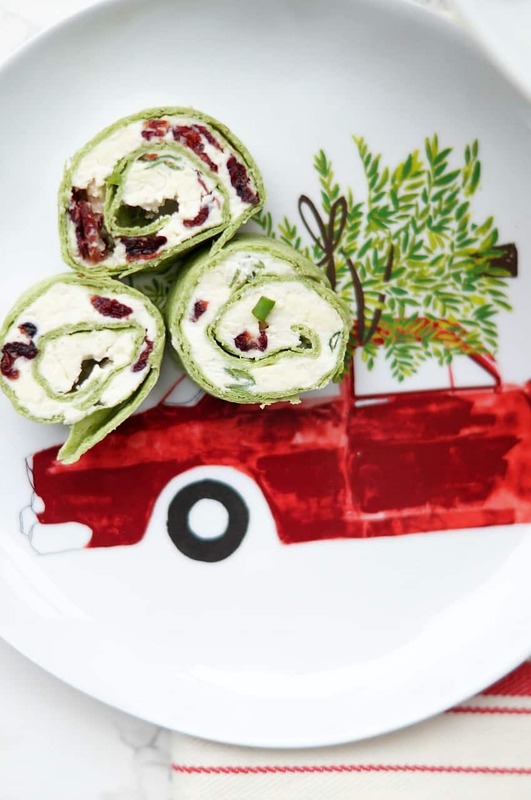 There is so much tang from the cream cheese, sweetness from the cranberry, and saltiness from the feta. The green onion rounds the flavors out perfectly. 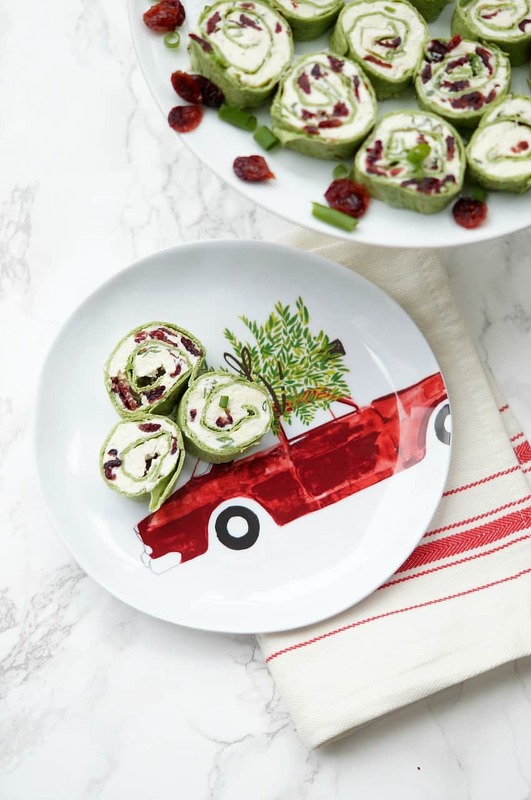 I love using the spinach wraps for this recipe for an even more festive touch, but you can use whichever type of tortilla you prefer! This recipe is honestly fool-proof and the only crucial step is that you refrigerate for at least one hour. This allows the flavors to meld together and for the cream cheese mixture to “glue” the roll together. If you cut these too soon, they will unwrap. You can definitely refrigerate them longer, but I wouldn’t let them sit overnight. I hope you and your family are enjoying the holiday season and looking forward to the main event on December 25th! 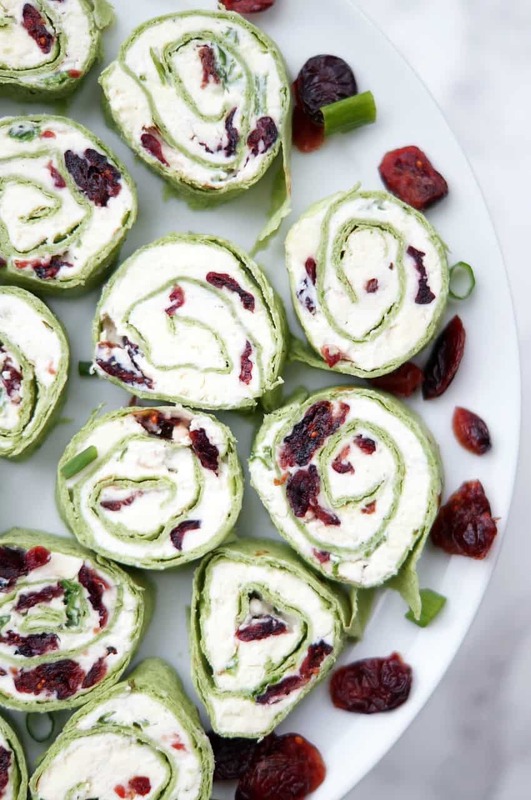 In a bowl mix together cream cheese, feta cheese, cranberries, 5 green onions, and black pepper. Mix until everything is well incorporated. Spread an even layer of the mixture all the way to the edges on the three tortillas. Sprinkle the additional green onion across the top of the mixture. Starting on one end, roll the tortilla together tightly and then tightly wrap with plastic wrap. Refrigerate for at least one hour, or up to 8 hours. Slice in 1/2 inch pinwheels and serve.